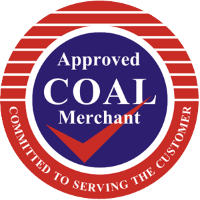 South African Charcoal is currently the best charcoal available on the market. It gives off a high heat, has the lowest smoke levels and is easily controllable. As the name gives away, this charcoal is a product of South Africa. It is of a premium standard grade and is popular with restaurants and caterers. This Premium South African Restaurant Charcoal is said to be the best charcoal available on the market. This is a step above average restaurant grade charcoal, and customers who try this blend seldom use anything else. Unlike most other charcoals, this South African Charcoal is made using only Wattle wood, which is known to be the best you can buy. Using only this wood to create the charcoal, gives a consistent, smooth and quality cooking charcoal. Similar to restaurant grade charcoal, this product gives off little smoke, is less likely to spark and has a very clean burn.